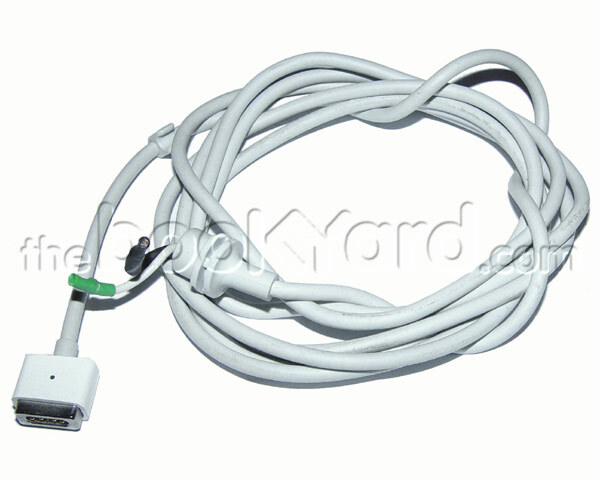 This is a used, tested dc power cable from an Apple MagSafe MacBook/MacBook Pro charger! This cable runs from the charger/power supply block to the laptop and ends with the Apple MagSafe connector. The cable has been removed from a MagSafe charger and will need to be re-attached by soldering. Charger not included.